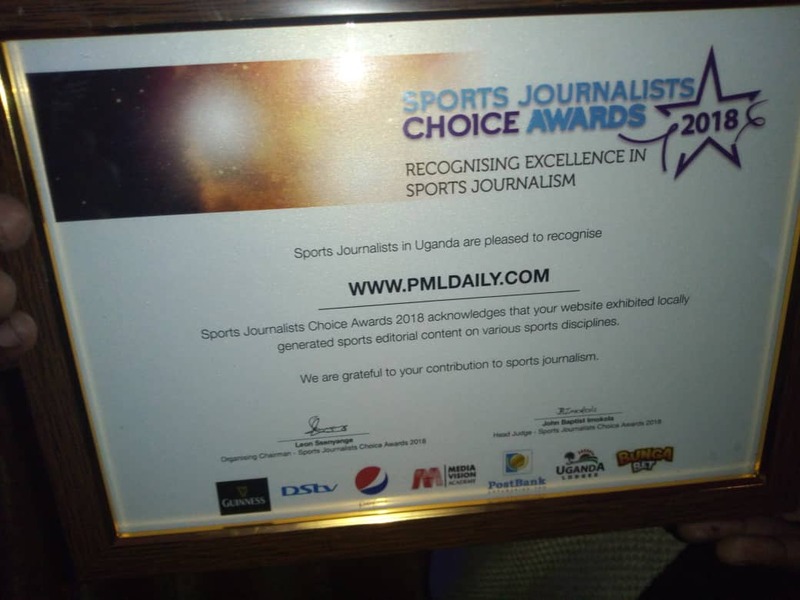 KAMPALA – The 3rd Edition of the sports Journalists Choice Awards was a night of recognition for the tremendous work done by sports Journalists on Tuesday evening at Route 256 in Lugogo. The awards had 10 catergories and different media houses and journalists including PML Daily norminated in sports website. In their category, PML Daily, which has only been in existence since May 2017, finished second behind Kawowo Sports. 3. Regional sports journalists of the year – Javier Silas Omagor (Step Radio) Mbale. 10. 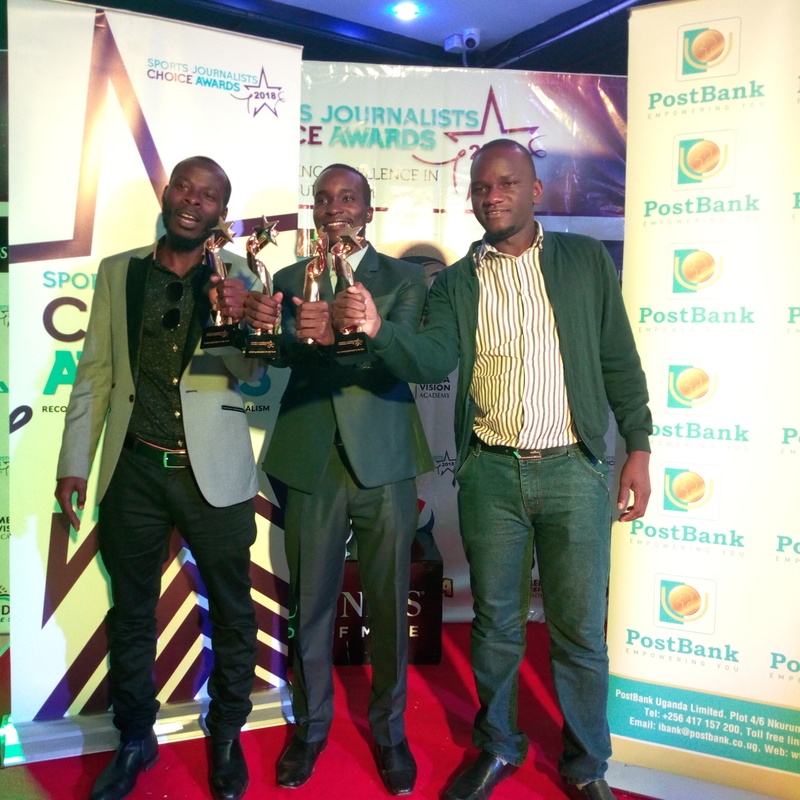 Sports Journalists of the year – Allan Darren Kyeyune (Daily monitor / NBS TV). “Sports is hyped by perception and that’s the only way we can improve and grow the industry and am glad that all these partners have come on board to bring a face lift to fraternity not forgetting the brains that have taken the initiative to reward journalists’ for their hard work and time dedicated.” Said William Blick president of the Uganda Olympic committee and chief guest. The awards attracted sponsors like Pepsi, Guinness, Media Vision Film Academy ,DSTV , Uganda lodges, Bunga Bet and Post Bank that provided Cash and gift hampers to the winners.